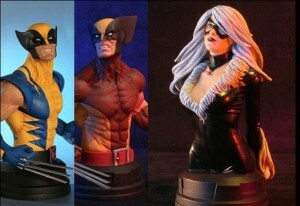 Sideshow is the best there is at what they do…and what they do is make incredibly detailed quarter-scale statues! 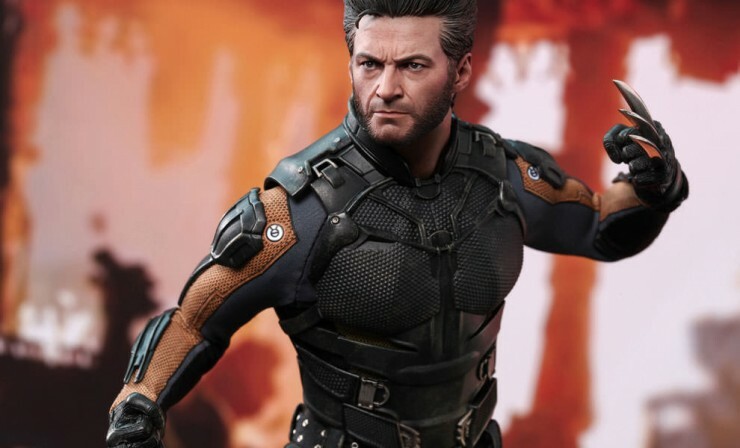 The next offer from Sideshow is the Premium Format Wolverine! 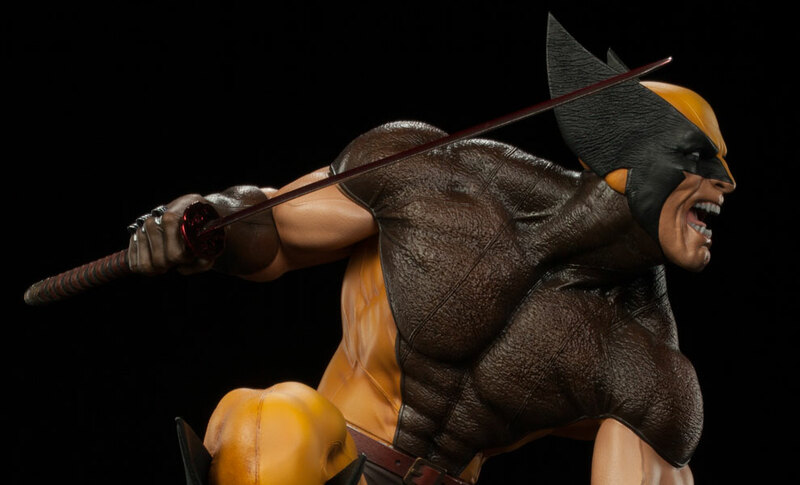 This statue goes back to the character’s first solo series — the Japan saga by Chris Claremont and Frank Miller, a longtime fan favorite story that defined the character for decades and even inspired the movie The Wolverine. This Sideshow statue shows Logan atop a snow-capped bridge that is riddled by enemy arrow-fire. With the base this short X-Man stands 20-inches tall! The statue also comes with swappable heads so you can display him masked or unmasked, both with fierce, feral expressions. And if you hurry to get Sideshow’s Exclusive Edition you can swap his right hand as well – show him with adamantium claws drawn or with the exclusive Muramasa Blade accessory! The true enemy is still out there. With Logan gone, they pose a greater threat than ever before. 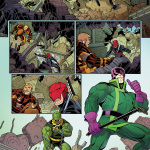 An unlikely team of his closest allies and most bitter rivals will need to work together if they have any hope of avenging his death – but how can they? Logan’s end was just the beginning. As those who called him friend mourn his passing, those who called him foe are free to pursue their sinister aims. Now, those with close ties to him will forge an uneasy alliance to uncover the secrets behind his death, and new revelations about his life! 2015 is kicking off with the “SNIKT” that shouldn’t be missed as the weekly adventure begins in WOLVERINES #1! 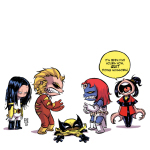 December 11, 2014 Posted by Arnie C | Comic Books, News	| Marvel, Marvel Comics, News, Press Release, Sabretooth, Wolverine, Wrecker, X-23 | Comments Off on The Claws Come Out This January in WOLVERINES #1! 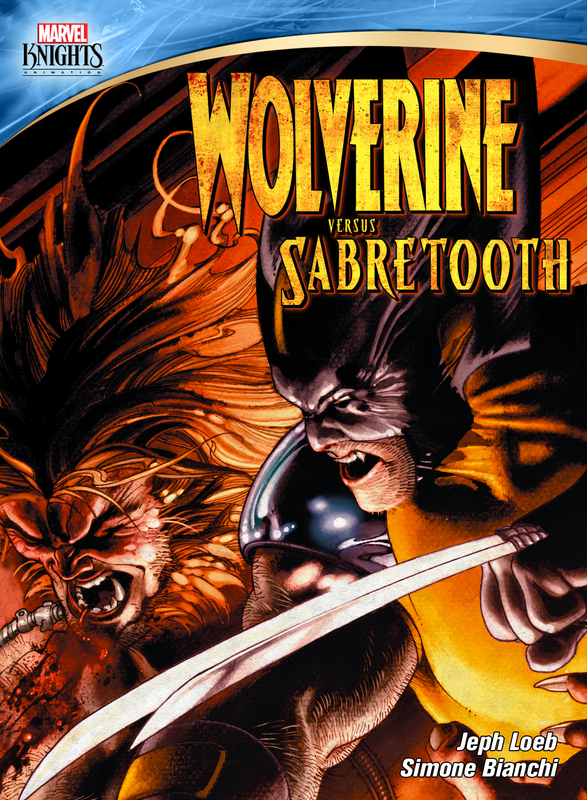 Out today on DVD is Wolverine Versus Sabretooth — the latest Marvel Knights Motion Comic from Shout! Factory. For those who have not yet watched a motion comic, it is a “splitting the difference” between a static comic on the page and a full-blown animated film. The images on the screen have a limited amount of motion; sometimes a character will move slightly like a paper cut-out, sometimes the camera zooms or pans over a comic panel. But while the visuals are semi-static, the audio provides a full-blown cinematic experience including professional voice actors and a robust film score. 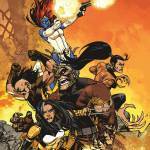 Marvel superheroes have a long history of Motion Comics, with some of my favorites being the Joss Whedon Astonishing X-Men series and Spider-Woman: Agent of S.W.O.R.D. But (as described on a special feature on the DVD) Wolverine is one of Marvel’s most popular characters and certainly its most famous X-Man so there have been several Wolverine motion comics including Wolverine: Origins, Ultimate Wolverine vs. Hulk, and now Wolverine vs. Sabretooth. 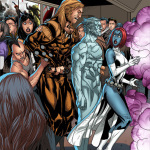 These releases all adapt existing, popular stories told in the pages of Marvel comics and this newest release continues that pattern by adapting the controversial Wolverine: Evolution comic arc written by Jeph Loeb. After years of not knowing his own origin, Wolverine finally remembers his life before the Weapon X project, but with those memories come nightmares involving Roman gladiators and a mysterious character named Romulus. In this arc Wolverine will uncover secrets that reveal even more about his own origin, as well as his possible genetic connection to long-time nemesis Sabretooth. 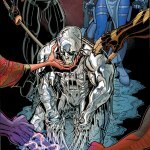 The new history for Wolverine put forth in this story caused a ripple of fan discontent, and has been mostly explained away in later comics, but however you feel about the revelations they are attention-grabbing. 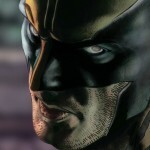 As this motion comic is strictly an adaptation of the comics I won’t review the source material. 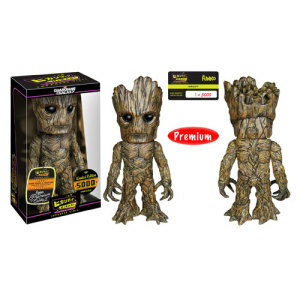 Suffice it to say it has guest appearances from some of the other most popular characters in Marvel comics, as well as some more obscure ones. There is lots of action and globe-trotting, and as a viewer watching the story for the first time I was hooked by the tease of revelations the story provided, even if some of the suggestions were eyeroll inducing. 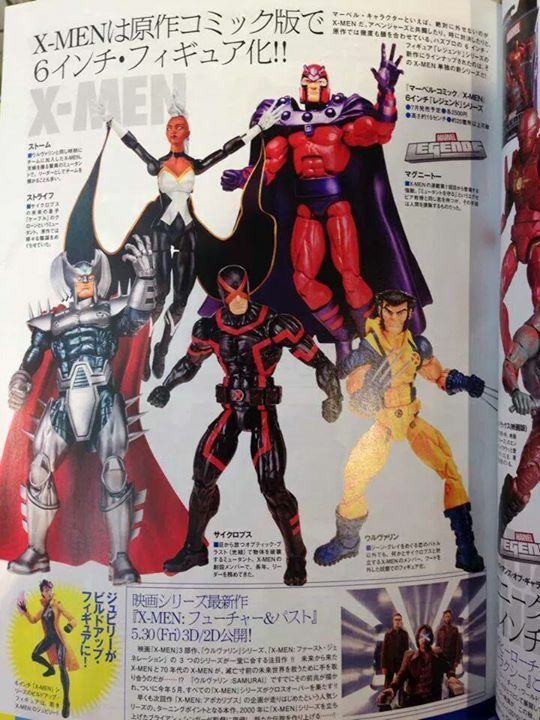 However there is one shock for which I was completely unprepared, it’s this story’s “money shot”, and while I’m sure most X-fans know it already it really does give this story a weight that many do not. However by adapting a single arc from an ongoing comic series, as this motion comic does, there are lingering questions to be answered. 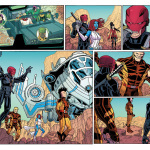 In some cases, such as the Astonishing X-Men series, the entire run is adapted to motion comics. However, more regularly, questions are asked in motion comics that require viewers to then go to comics (or Wikipedia) to find answers. 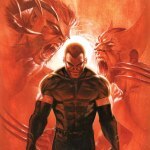 That trend continues with Wolverine versus Sabretooth–while the story told is a complete arc with a satisfying resolution, there are many questions still left unresolved. But in comics the stories are never “done”, they always want you to buy the next issue, and this will feed that compulsion. 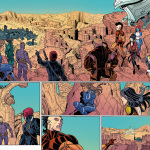 Aside from the story my real question with the motion comics is the presentation of the material. Comic readers have had 7 years to read this story in print, so what about the presentation will appeal to a non-comics reader? The answer is–lots. With this latest release the quality of the Marvel motion comics continues to improve. The earliest of motion comic releases had poor voice acting, generic music, and very limited motion. But with Wolverine versus Sabretooth it’s impressive how these have improved. The voices for the main characters of Wolverine, Sabretooth, Storm, Black Panther, and others are equivalent to those that would be heard in any television animated series. Added with the sound effects and the music, director Carl Upsdell delivers an immersive aural experience that exceeds many of the best radio dramas I’ve heard. 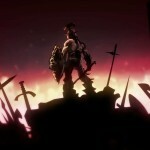 The visuals are also some of the best that I’ve seen in a motion comic. I am a fan of Simone Bianchi’s art style, and motion comics are a tremendous showcase for great comic art. Projected on my home theater I’m able to see detail in the art that would never appear on a page. I’m also very impressed with the way the producers have separated the foreground characters from the background scenery, giving the scenes an almost 3-D feel. That said, the trademarks that separate a motion comic from an animated film exist from the wood-puppet mouth movements to the static nature of the images. 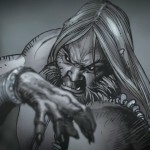 I know many people who simply find the motion comic animation style to be dull, and I don’t see anything in Wolverine versus Sabretooth that will make converts of the disaffected. The DVD sticks to the format of the original comic, presenting the story as 6 individual “episodes”. You can watch all six back-to-back, but each repeats the opening credits sequence, padding the overall runtime to just over an hour. The DVD has one special feature in which Loeb and Bianchi look back on this arc. There are no mea culpas and no apologies that may be desired by those who disliked these changes to Wolverine’s backstory, but Loeb does describe his thought process behind why this story was necessary and why it took so long to be fully told. 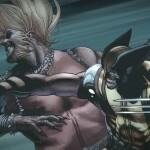 The 23 minute featurette provides a discussion of the writing, the art, and the characters of Wolverine and Sabretooth. 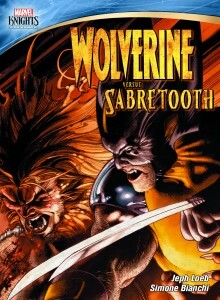 Taking a motion comic for what it is, Wolverine versus Sabretooth is technically the best I’ve seen to date. If you haven’t read this Wolverine story arc, or if you have and want to revisit it in a new way, I can highly recommend this new 6-part feature, out on DVD today.